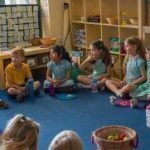 A new School Admissions Code and School Admission Appeals Code came into force in February 2012, introducing the most radical changes to the school admissions system since 1870. It has since been updated in December 2014. St. John the Evangelist is an ‘own admission authority’ under the Bath & Wells Multi Academy Trust. For children starting school for the first time. Children who were born between 1 September 2014 and 31 August 2015 can start school in September 2019. Applications for children starting school opened on Wednesday 12 September and closed at 11.59 pm on Tuesday 15 January 2019. You can still apply, please contact North Somerset Council. These tours are intended for adults only, on these occasions we do ask that you do not bring babies/pre-school children on tours 1-6. If you would like to attend, please contact the school office to book a tour. If you are making a booking via email, please state the number of adults attending and provide a telephone contact.